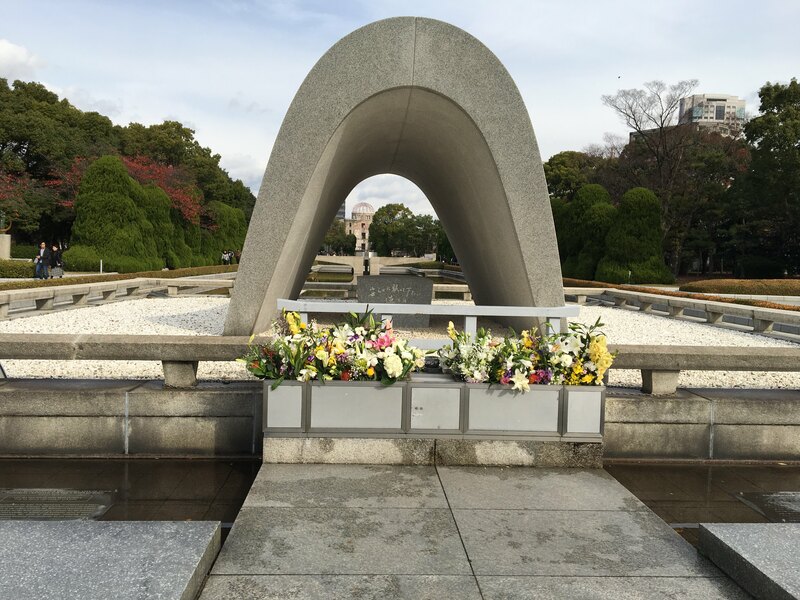 On the last weekend of November I visited Hiroshima with my exchange program. We got the opportunity to learn more about the history of WWII and the atomic bomb, as well as hearing from an atomic bomb survivor. I learned a lot of new things and it really opened my eyes. With history, you generally only hear one side of the story; however, there are two sides to every story. Being able to hear a first person account of the incident was incredibly moving. 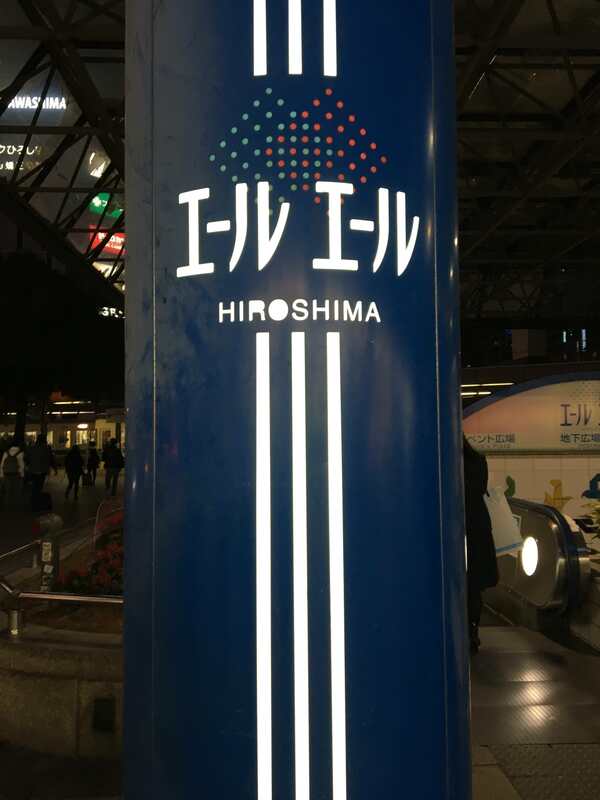 From Tokyo Station Hiroshima is about a four hour shinkansen ride, each way. This was a good time to catch up on sleep, do homework, or talk with friends. Upon arriving in Hiroshima we took a street car to the hotel where we stayed for the night. In the morning we made our way over to the Peace Memorial Museum. We also got to walk around the the Peace Park. Here’s a famous structure in the Peace Park. The view under the arch encompasses the dome that was destroyed. Here’s a closeup photo of the dome. 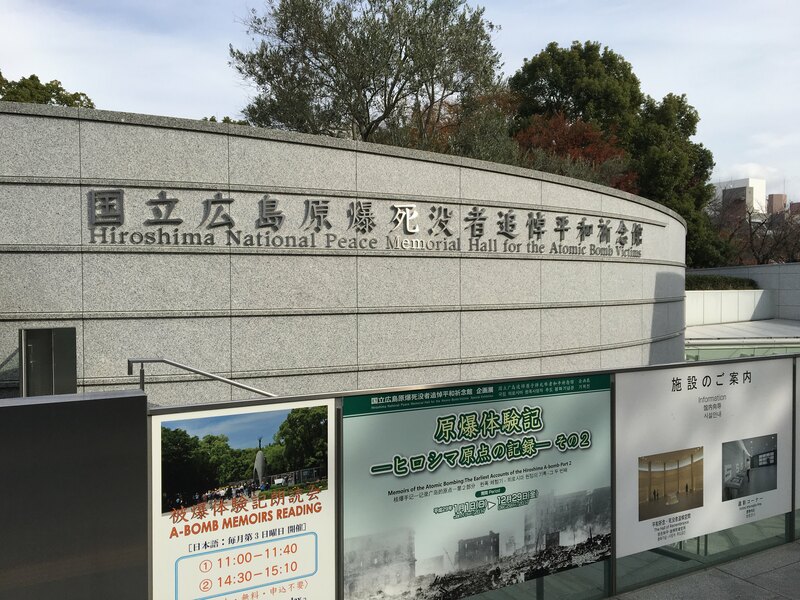 The Hiroshima National Peace Memorial Hall for the Atomic Bomb Victims is where we listened to the bomb survivor. As I said, it was a great experience learning about the history of the bomb and hearing a first-person account. That wasn’t all there was to the trip, however. On Sunday (the next day) we rode a ferry over to Miyajima Island, which is very famous for this iconic shrine along the beach. When the tide is high, it’s as if the shrine is floating. 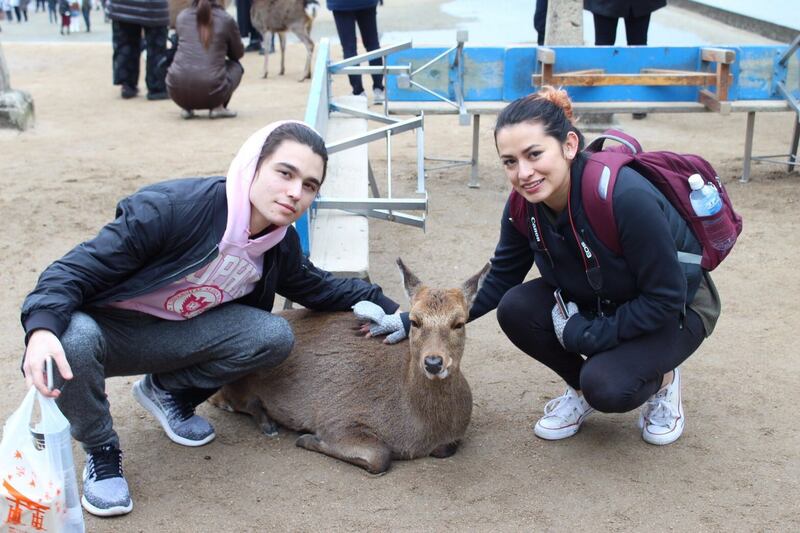 There were also a ton of friendly deer that let us pet them! 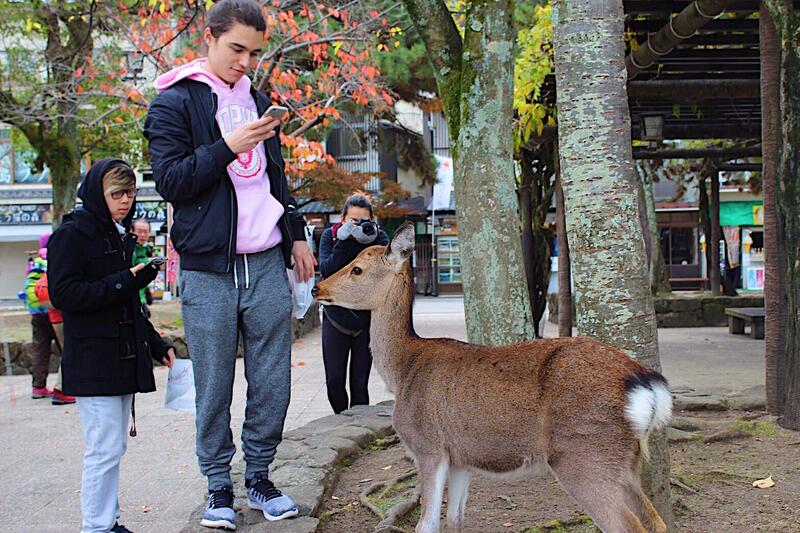 I’ve always grown up with the idea that deer are wild animals, and while these ones are indeed wild, they are used to all the people and enjoy the attention (although they mostly just want food). 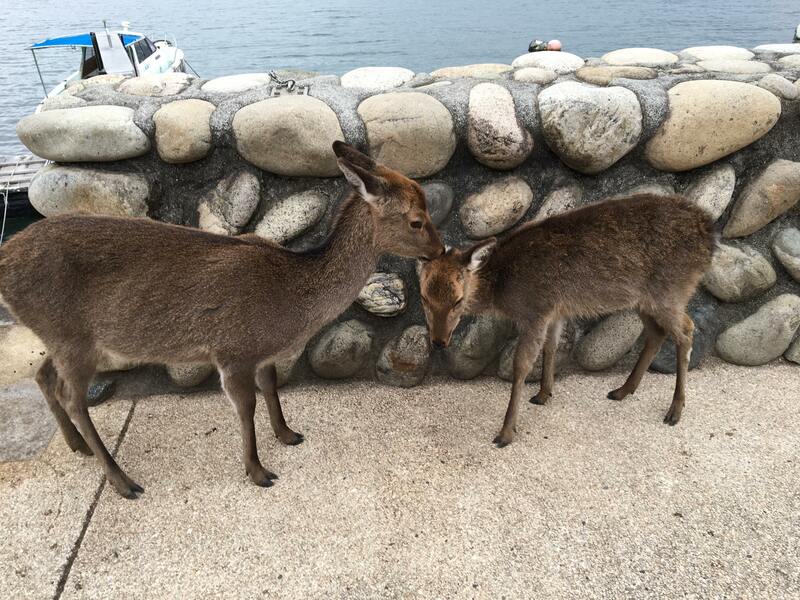 Miyajima Island is one of the most beautiful places I have visited in Japan, probably second after Chichibu, Saitama. 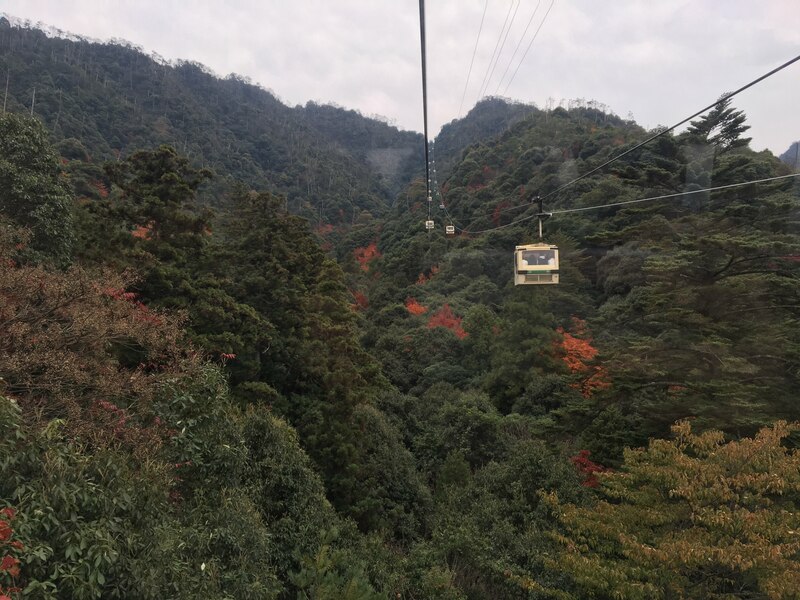 We were also able to take a rope-way up a mountain! The rope-way ride was incredible and something I’ll never forget. The fall colors were beautiful and it was really relaxing. The rope-way didn’t take us all the way to the top, though. After the rope-way ride, we hiked about thirty minutes to the very top. Here are two photos from the top. As cliche as it is, no photo can truly capture how incredible the view from the top was. Unfortunately, it was a little foggy that day, but the view was breathtaking. There are no mountains in Ohio, so actually standing on top of a tall mountain and looking down over all the trees and ocean was a truly rewarding experience. 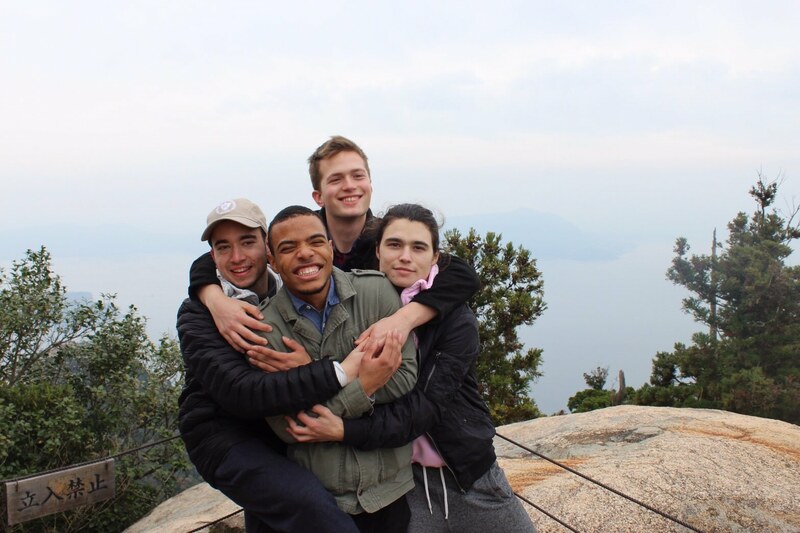 I’m very thankful to have been able to go on this excursion with my exchange program. 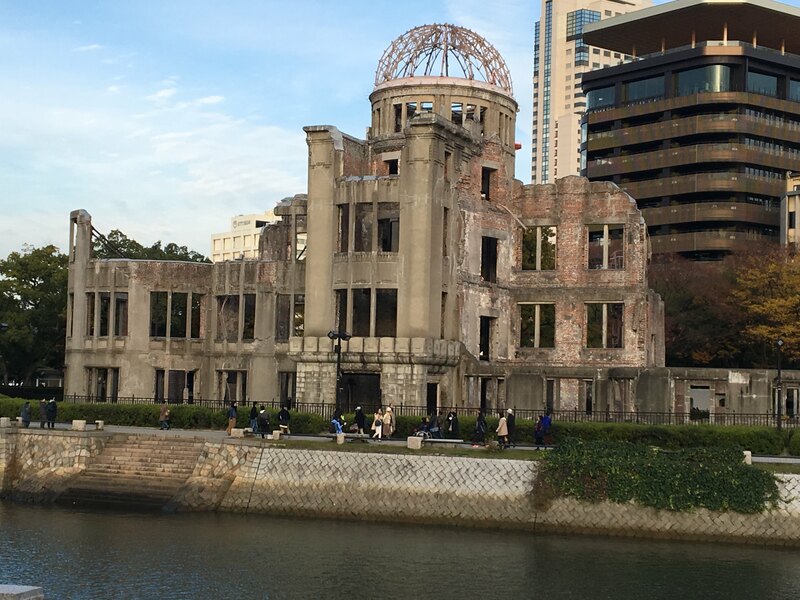 Hiroshima is a great city that has recovered tremendously well. 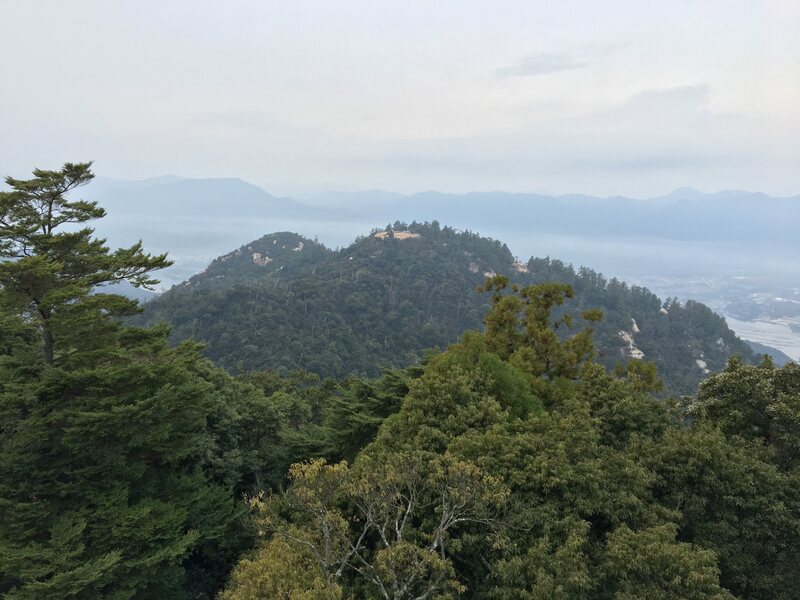 Hiroshima is full of history, and Miyajima Island is just off the coast, full of its own history and beauty. 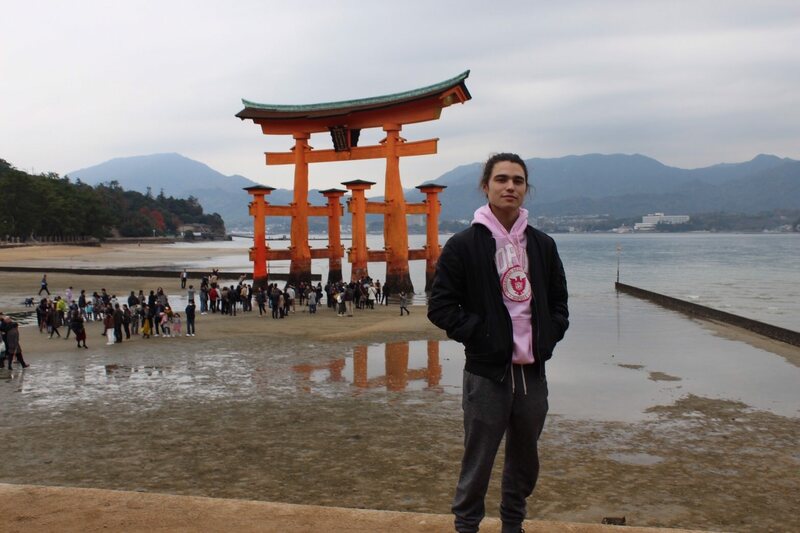 I highly recommend visiting Hiroshima, especially Miyajima Island, if given the opportunity. As cliché as it is, it’s quite true that you never know what you have until it’s gone. I knew Japan was going to be drastically different than the US, and I thought I was ready, but in reality, I wasn’t. 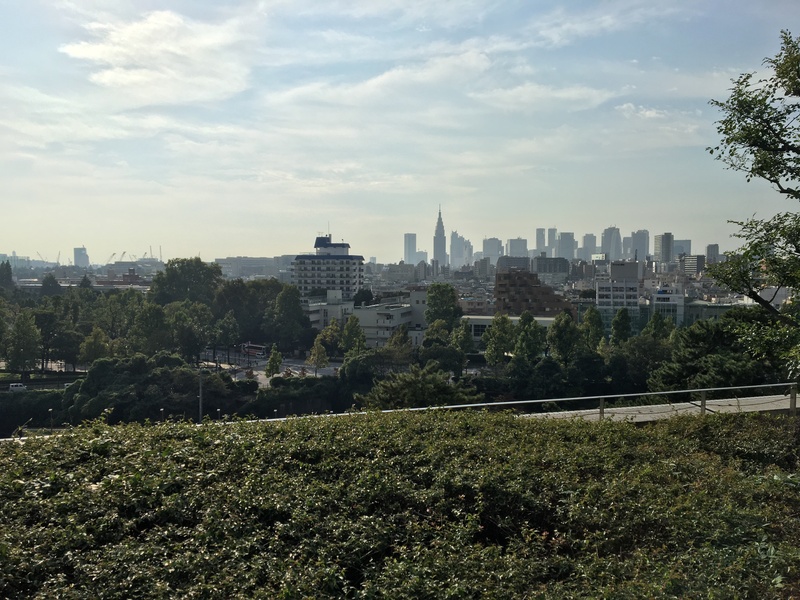 Here’s a list of the top three things I took for granted the most and how they have affected me in Japan. I knew my Japanese wasn’t the best, but I’ve been studying it for two years, that’s going to get me pretty far, right? Wrong. I feel like a grown baby. Reading and writing is one thing, but speaking and listening is another. My host parents have to say every sentence slowly and clearly using grade-school-level vocabulary and grammar in order for me to understand them. Even then, it’s still a toss up whether or not I’ll be able to answer their question. 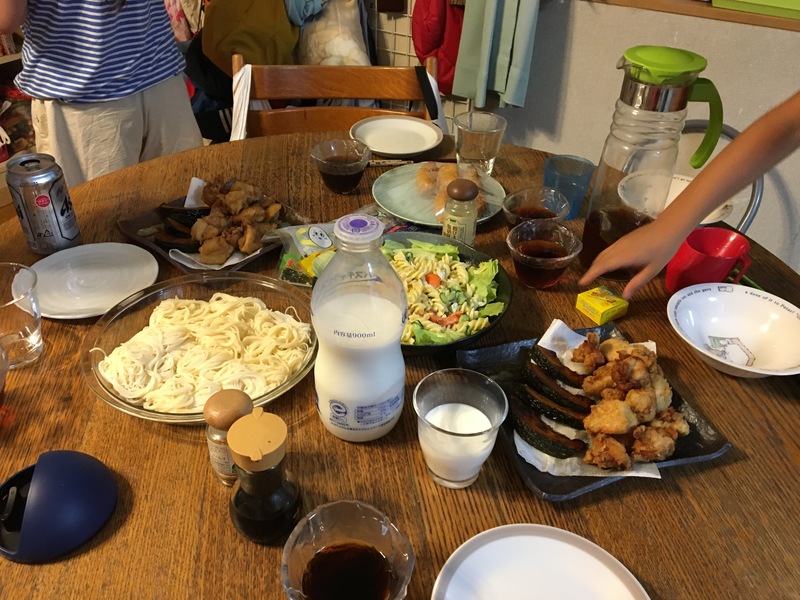 The biggest issue with communication, however, is knowing that there are hundreds of Japanese people around me at any one time, and I can’t speak to any of them. Sure, some speak English, but they’re usually either 1) too shy to use it or 2) it’s the same level as my Japanese and gets us nowhere. The language barrier is a huge hurdle and something I underestimated coming to Japan and took for granted in the US. On the bright side, it has inspired me to work harder at learning the language so that I will, someday, be able to have a full conversation in Japanese. How could transportation be an issue? Japan is known for its extensive railway system that works by utilizing some sort of wizardry. While this is true, a 40 minute commute to campus every day isn’t something I’ve ever experienced. In the US, I lived a 3 minute bike ride from my first class. That’s a huge change. And if 40 minutes isn’t long enough, what makes it even longer is having to stand the entire time because the train is so crowded there aren’t any seats. Not only are you standing, but if it’s during peak hours, you’re most likely pressed against five other people. Talk about lack of personal space. This is a photo of Shinjuku Station in Shinjuku, a special ward in central Tokyo, at 4pm. 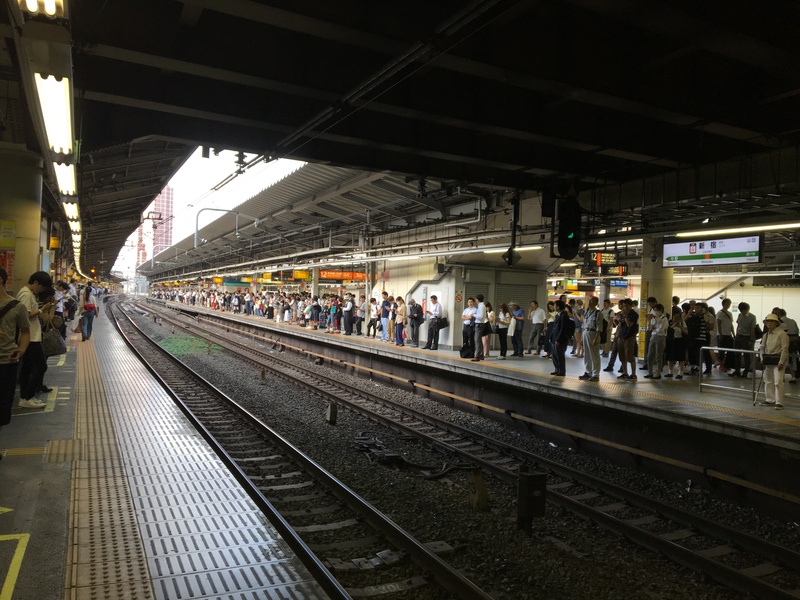 It’s not even rush hour, yet there’s tons of people. I came to Japan knowing that I was extremely picky when it comes to food. If you live on your own, this won’t be an issue, since you can get just about every type of food here; however, I chose to live with a host family for my first semester. That means I have to eat all kinds of food, even if I don’t like it. Not only do I not want to be rude, but I genuinely do want to try every type of food I can, and while there have been a few meals I could have done without, most have been delicious. Still, I wish I could walk three minutes to the dining hall to get a burger and fries. This is what a typical dinner looks like, little brother’s arm included. Even though these difficulties have risen since arriving here exactly one month ago, there are even more fantastic things I love about Japan. I’ve gotten to meet a lot of great people from around the world, and have become close friends with many of the students in my program. 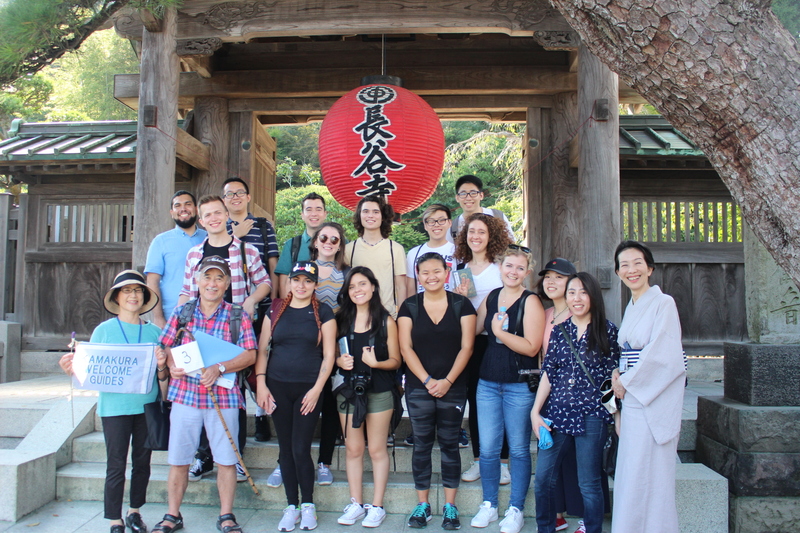 This is a photo of most of the students in my program during our day trip to Kamakura. This is a view from a sixth floor terrace. This is my favorite place thus far to study or hang out. These three difficulties have had a great impact on me since I arrived, but I’m adapting as time passes. Japan has been amazing so far, but as with any great change in life, there are both ups and downs. I’m greatly looking forward to riding this roller coaster for the next 10 months.